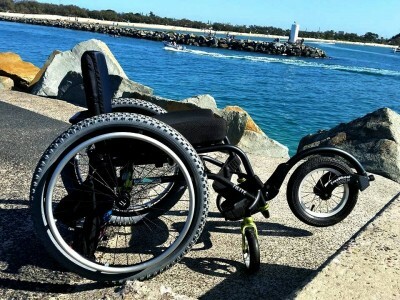 Do you want more freedom, mobility and independence? 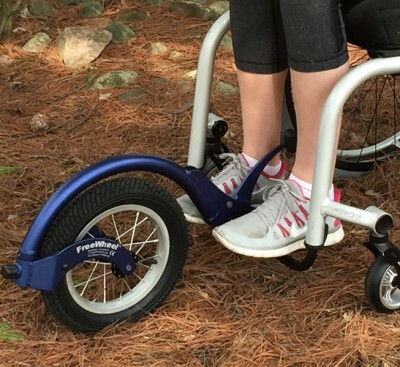 Then the FreeWheel and the cleverly designed RACK is what you need to easily traverse grass fields, snowy parking lots, enjoy hiking trails and safely glide down bumpy sidewalks and curbs. 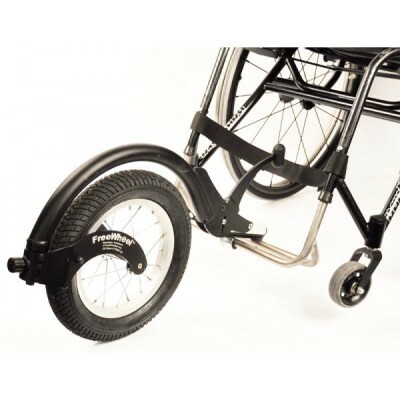 Used with the RACK you can easily get to your favorite places while carrying your fishing gear, groceries, luggage, all without having to ask for help. 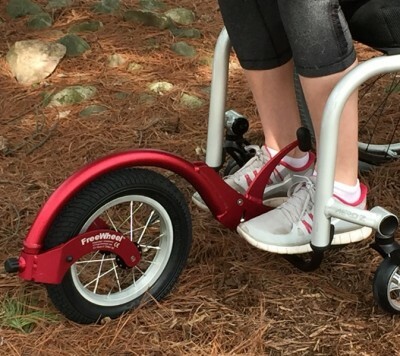 Strolling, exercising, hiking, or just checking the mailbox, is so much easier with the FreeWheel. 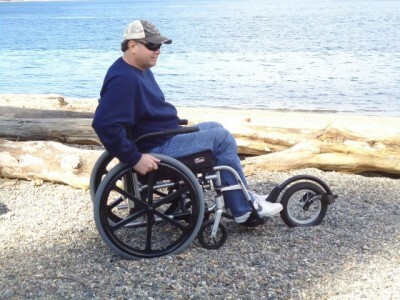 Grass, curbs, and rough roads can be easily navigated to hep you in your quest for independence.